Perth’s rental market may start to attract more investors, experts say, as gross yields continue to grow. The Domain Group Rental Report, released on Thursday, showed that while rental house prices were down for the quarter and the year, yields were among the highest in the country. Perth’s median weekly rental price fell by 1.4 per cent for houses to $350 per week, and unit prices held steady at $300 per week in the June quarter. Despite this, yields for houses were up 1.3 per cent for the quarter and 2.3 per cent for the year – the strongest result in the country. Units also saw strong yields for both the year and the quarter, with only Darwin seeing better results. Domain Group data scientist Nicola Powell said the strong yields could bring investors back into the Perth market. 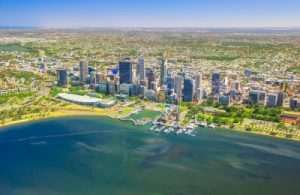 She said unit rents had held steady for the past five quarters, another sign that the Perth rental market had started to stabilise. “It may even be indicative that the unit rental market has found its price bottom,” Dr Powell said.